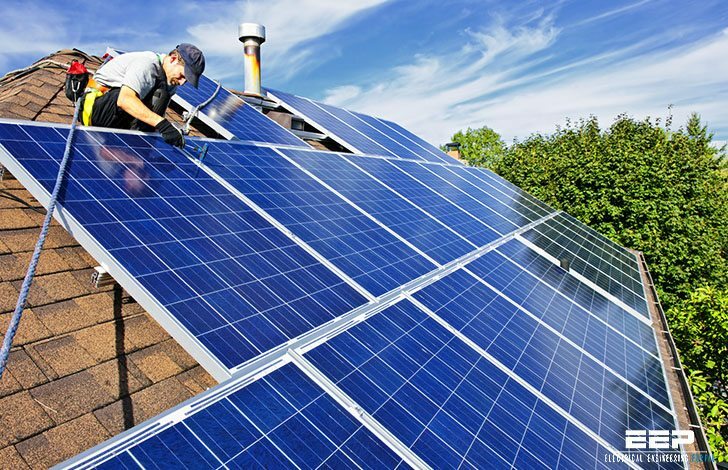 The recommended installation practices contained in this guide progress from the photovoltaic modules to the electrical outlets (in a stand-alone system) or to the utility interconnection (in a utility-interactive system). For each component, NEC requirements are addressed, with the appropriate Code sections referenced in brackets. The recommendations apply to the use of listed products. 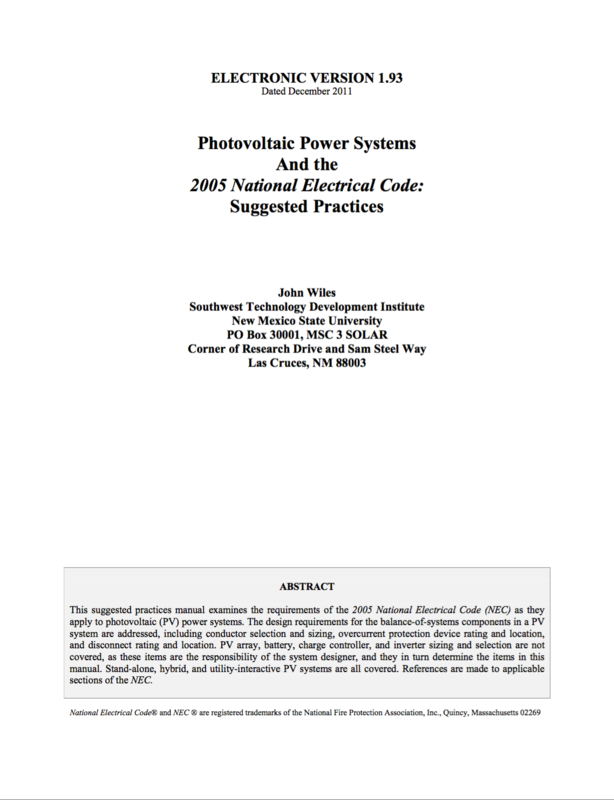 The word “Code” in this document refers to the 2005 NEC. In some places references will also be made to Article 690 from the 2002 NEC that have been significantly changed in the 2005 NEC. In recent times, monetary incentives have resulted in large numbers of utility-interactive PV systems being installed. While most of these systems are purely grid-tied, many have batteries included to provide energy during blackouts, and some even include generators. With these added features, there are many similarities between the code requirements for utility-interactive systems and stand-alone systems. In this suggested practices manual, the code requirements are addressed at the component level and at the interconnection level between components. Where unique requirements apply, they are addressed as they relate to a particular system. Appendices provide additional details. Thanks for notice, I’ll fixed it in a minute. Your feedback on this issue is highly appreciated.